Lefay Resort sounds like a magical place for a honeymoon! 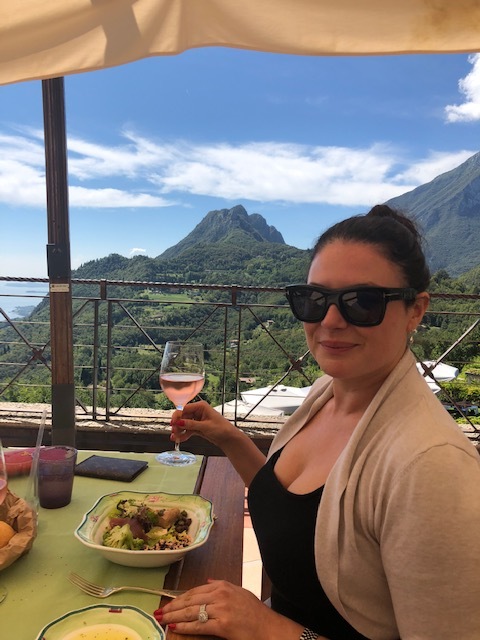 Read all about Lisa Cannon’s experience of this gorgeous part of Italy! 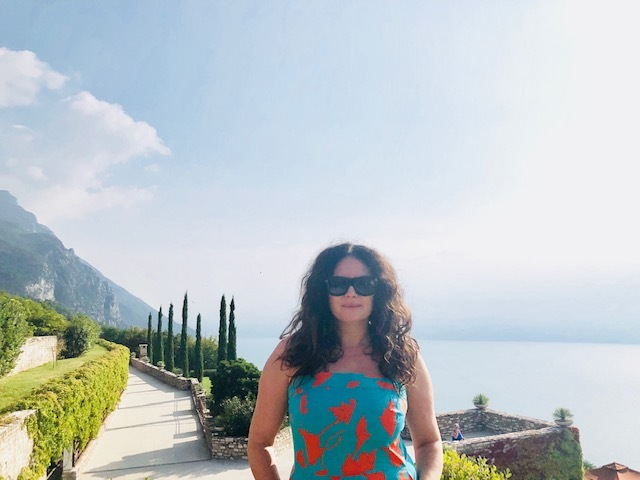 I was very very lucky to spend three wonderful days at the Lefay Resort and Spa in Lake Garda in Italy and I have to begin by telling you that it was one of the three most rejuvenating, relaxing and rediscovery days where my body and soul connected. 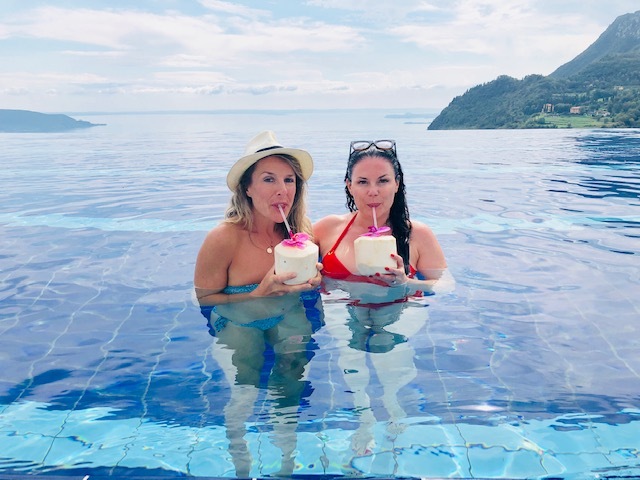 I had been looking forward to the trip for quite some time as I was to be accompanied by my best friend Suzanne who is unlike me very aware of the benefits of holistic treatments and looks after herself very well. She is constantly running and eating well and finding the time for herself. I am on the other end of the spectrum, overworked, frazzled, have little time for myself and always put myself last. I eat on the go and exercise.. should we pause for a minute to laugh at that thought? It’s good in that I only fluctuate a size up or down but generally I could be ALOT better and I get envious when I see women who put all their energy into themselves and their wellbeing. 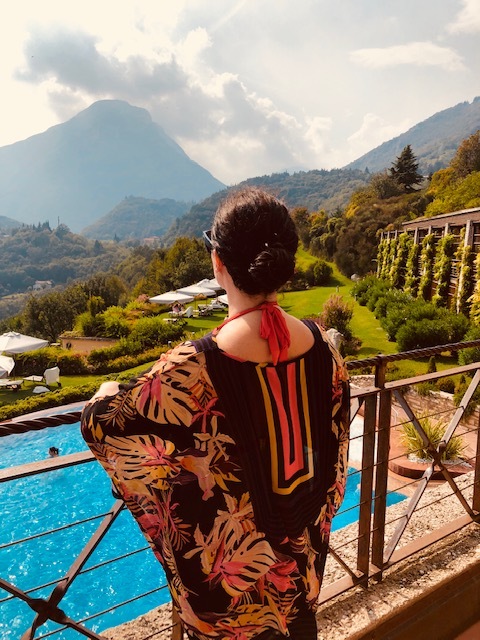 In my three days at the spa, I discovered that wellness is everywhere and even if I couldn’t stomach the treadmill I can find peace in the sunlight, the mountains beside the resort, the relaxation of the majestic views and atmosphere at envelops the Lefay resort. 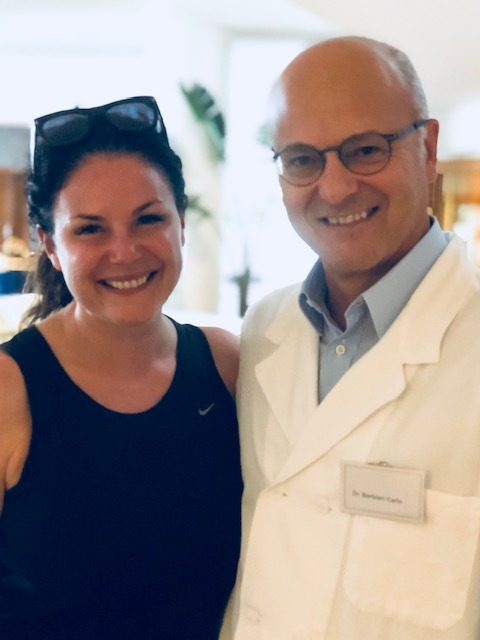 To my mind the most ingenious thing about the Lefay Resort is the collaboration with the team of physicians who not only are recognised internationally in different holistic disciplines but the tailor made holistic programmes. To me thats like music to my ears.. tell me which programme is going to help me and give me the correct benefits and I’ll listen. This incredible and ingenious innovative method of achieving wellness is supposed to restore balance, fully rejuvenate the mind and body and point you in the right direction for a healthy and discerning lifestyle.. and boy did I need it! So lets start at the beginning, I as some of you may know am on TV which although is glamorous means I’m rushing here there and everywhere. I tend to put myself and my body last, not good I know and rather stupid but I’m glad that the Lefay got their hands on me to teach me better methods of how to mind my 40 year old self. I really really need to start NOW as the frenetic pace of daily life has taken its toll on my body resulting in stress, tiredness and anxiety. What I loved about signing up to the three days was the idea that I would be looked after and helped as I can’t seem to help myself that well, I’ve all good intentions but it all seems to fall flat when I get home. 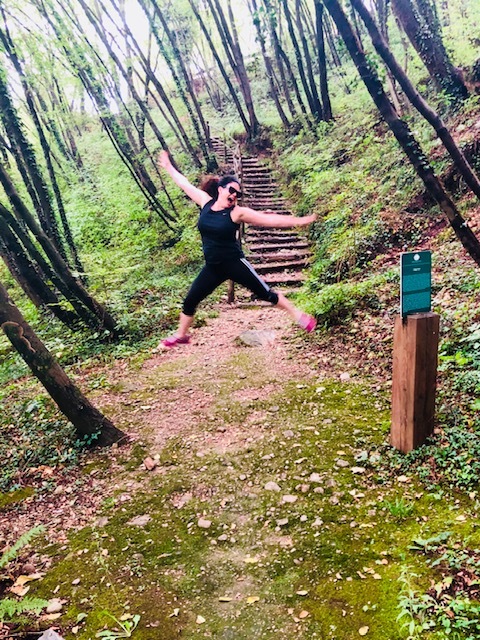 This time things are different and not only was I excited about the naturalness and global wellness that is in the Lefay resort, it was the friendless and the information and the highly trained individuals that are there that made it an unforgettable experience. My friend and I Suzanne set off from London to Lefay and after the hour long journey to the resort we conjured up what we thought it might be like, we were not far off the mark, once those beautiful iron gates swung open we were about to tap into sensations we had not met yet and see a great blend of East meets West both holistically and environmentally as its blended with nature and in perfect harmony with the Lake Garda mountains… BLISS! When we arrived we headed straight to our room having taken a million pictures of the view, the views are a sight to be reckoned with and you could fill a whole iPhone roll just with the mountains. Our room was stunning and encompassed not only a jacuzzi but a rain shower and a little sitting area plus a balcony for us to relax and have a drink outdoors in the evenings, don’t worry ladies and gents this is not a teetotal Spa! You can have a few glasses of Italian Chianti in the evenings!. Lefty Spa is the first spa in Italy to obtain the Ecocerts prestigious new certificate ‘Being Organic and Ecological Spa’ Level; Excellence. You certainly can see that everywhere as its an innovative concept which is distinguished by its unique health treatments and programmes plus its sustainability. I was VERY careful and mindful this time to reuse towels and enjoy the facilities but keep my eye on how environmentally friendly everything was. There is so much on offer so after we had a drink in the room we sauntered down to the pool which is breathtaking it overlooks the valley and is a close to God as you’ll get. There is a heated indoor and outdoor salt water swimming pools, a 25 metre heated homologated training pool plus whirlpools, jacuzzis, a turquoise grotto, wide relaxation areas, saunas that have special aromas which detoxify and help purify the skin. Not only is there different saunas ranging from an Olive Tree sauna to a Water and Fire one but you can avail of once specially designed to eliminate toxins from you body! The Lefay Spa has thought of everything not to mention their stunning Hammam which is inspired by the stunning Orient taking you back to natural balance. I spent some time in there enjoying the delights on offer and felt every rested afterwards and calm. It was wonderful to be able to indulge and not feel one bit guilty about it. For me aside from all the rooms and areas to enjoy was the food. 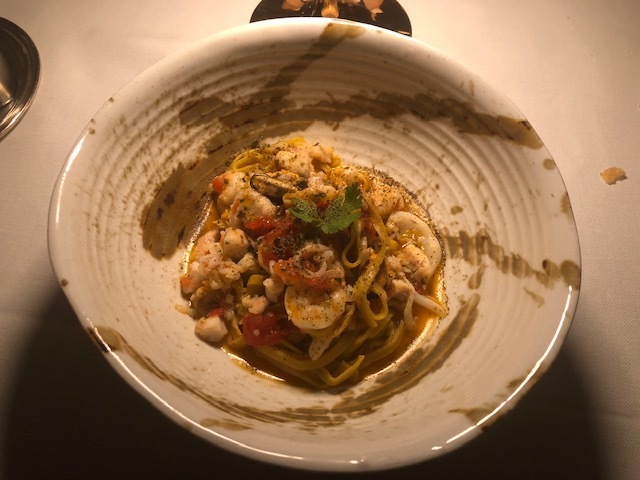 The 5 star experience leaves no stone unturned here in Italy and as always you can expect delicious sumptuous food thats both organic, nutritious and full of local goodness as everything is home produced. If you’re feeling like you’d like a more relaxed dining experience then I would suggest you order food by the pool, as the weather is exquisite you can take the time to soak up some sun and have a lovely time eating their fabulous salads and organic wines from the local vineyards. 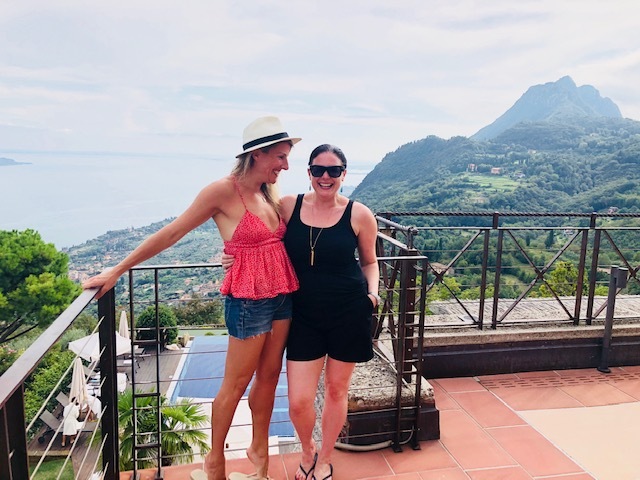 Suzanne my friend is very into her fitness so she hit the gym and enjoyed running on the treadmill with views over Lake Garda whilst I ordered another rose!! There really is everything you could possibly need to restore your balance, my program consisted of an initial Medical Consultation with the in house doctors who spoke to me at length about my ailments and my mental state and what indeed I was hoping to get out of the programme. As I had just suffered a very recent bereavement, he was very helpful in tailor making the programme for me and my recent loss and the ways I would or could help my heart, my breathing and my anxiety. I was then asked to meet my therapist who was excellent in reading my mind! Its as if he knew how to treat me by looking at me but his approach was wonderful. All therapists are very calming and for me I was put straight into a Hydrotherapy Bath with Aromatherapy and Essential Oils. This was also used in conjunction with Light therapy to help calm and relax me which it did. I was there for 20 mins and the bath really allowed me to focus on my breathing and to fully relax. I was then on my first day an Energy Balancing personalised massage which was superb. For a full hour I was massaged and looked after in which my specific area of the head and back was worked on.. whats unique here too is that reflexology is incorporated into the massages so every inch of you is tapped into, its all about your organs, wellbeing and mental state. Its a one stop shop to feeling good. So after my day of talking, understanding, relaxation and massage, Suzanne and I enjoyed the views and got ready for dinner. 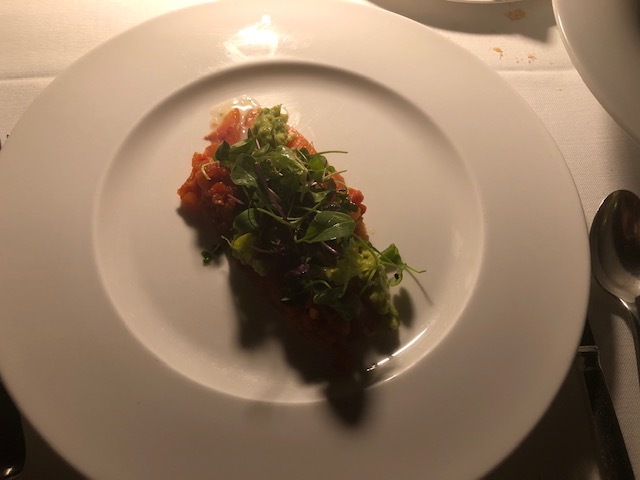 As mentioned the food is all organic and my doctor prescribed me the lighter food menu which I chose also for the fine dining experience in the evening, I stuck to the Lefay Spa Menu which is fish and vegetables and very highly orchestrated delicate foods that would balance my body. I felt that the lighter I ate the more relaxed I would be and so even after a few glasses of wine I was up at the crack of dawn for a walk up the surrounding paths which included a running circuit, a trail of eight stations where you can exercise to improve muscle tone and get a sweat on. 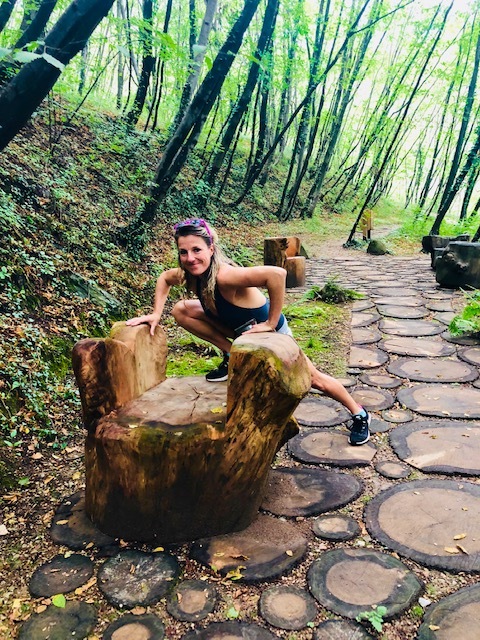 I loved the green dragon which is a wood carving which represents the renewal of nature and is there to help you stretch your meridians and gives you a muscular awakening if you use it! You can enjoy the other fitness classes such as pilates, water gym, Tai Qi, Yoga and postural gymnastics, there is literally everything on offer! You just need to have the time and discipline to do it. In terms of the health programmes there is an abundance and I would urge you to look at the website for a closer look to determine which ones would work for you and your health status quo. The whole idea is that the principles of Chinese Medicine is combined with Western scientific research which has your wellbeing as its main goal. This is not a hotel spa this IS the Spa of your dreams and classical Chinese Medicine is one of the oldest diagnostic and therapeutic sciences in the world so by tapping into that along with the physicians you are in safe hands. For me stress is one of the biggest ailments I have and is the phenomenon that causes so many complaints and illnesses globally, we undermine it and laugh at it but really we should be taking it and ourselves more seriously. For me, posture, nutrition, stress, the ageing process and my emotional status are NOW far more important to me that a new handbag. I finally after a few days here realise how much I need to look after my body as its the only one I have and I need to invest in it. On the Thursday after a lovely nights rest I had a delicious organic breakfast on the terrace and was ready for my Salt Lake ‘ La Luna nel Lago’ in which Suzanne and I had exclusive use for over 30 mins. This was a bath immersed in salt water surrounded by rocks it was the most beautiful freeing experience I’ve had in years.. The high temperature of the salt water lake allows the body to absorb the trace elements and minerals from the marine salt dissolved in the water which drains and detoxifies. It was good fun being in their with my buddy, we had the maddest conversations! Then it was straight back up to the spa for the holistic crania-sacral treatment which realigns the spinal column and treats the cranium, neck, trapezium and massage alleviates pain and reduced tension. You simply lie on your back and the therapist does the work and you just sit there and allow them to do all the holistic therapy that they need. It worked wonders for my back and even though I’m only 40 I can see that I needed it. Aligning your back is important and it needs to be done, I wish I had done it sooner. Later that evening after we had walked in the park, it was really important that we took some time out to relax and enjoy the dinner and yet again we enjoyed the delights of the restaurant and had some delicious organic wine. For me, the experience of massage is very important as I feel I always get something good out of a good deep massage in that my mind and muscles always feel like they have benefited afterwards. So for me an energy balancing massage for the face and head is a fantastic option to totally de-stress and in Italian the Lefay resort call it the Derma di Luce’ and mine was sensational. The energy balancing massage are a combination of relaxing or specific techniques such as lymphatic drainage to help with the meridians. One other such great way to help reduce stress and its something I’ve indulged in a little over the last few months has been acupuncture. I think acupuncture is a great way to balance the energy and help the mind, while I was in the resort I had a session with their in house doctor and found that later that week the effects were still in place keeping me feeling much more centred and enjoying the week with a bit more energy. In terms of food I’ve always had a love hate relationship with it, I gain weight like butter and can lose it if I try but its a big struggle and it means I can’t eat anything I want I really have to cut down so sadly anything I REALLY enjoy is a no. ‘We are what we eat’ is a very well known saying and I know very well that my body responds to certain foods and especially organic food, my system really likes it and for the few days I ate nothing but that. It was a very unique experience to see the effects of delicious organic produce and how my organs enjoyed it and how all my daily rituals were a little bit nicer and how my body said ‘Thanks’! Its a great gift to yourself to be able to be kinder to you. 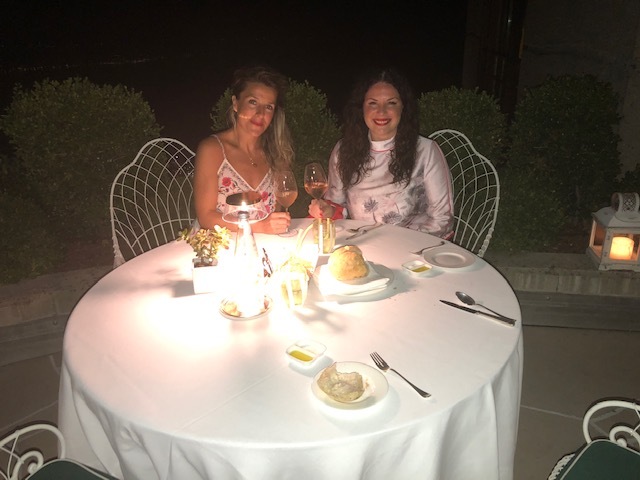 All in all, I would highly recommend the Lefay Spa as an experience for both Honeymooners and family alike, I think there is so much on offer that one could really enjoy the relaxation to the food to the surroundings all for the Italian magic that is on offer. I have to say that I hate exercise but even the yoga and walks and massages did my mind the world of good.I really hope that people tune into the organic surroundings and find some joy in having a different kind of Honeymoon and or holiday away. For me I’d really like to shout from the rooftops that different experiences are great and that we should all embrace something that is good for us and enlightening and I felt that whilst away here. Although a unique experience it brings a different level of magnitude to the idea of ‘wellness’ and ‘wellbeing’ and although that might be hoofed around the word is actually quite important and means more than just looking after yourself its about a lifestyle change and a time to reflect and empower. 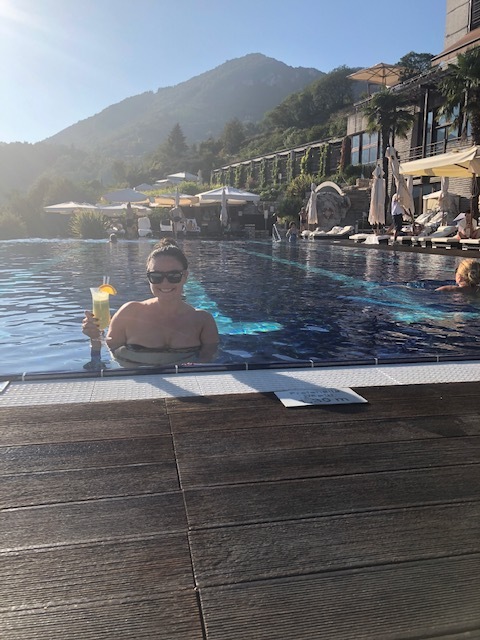 For me always a holiday, a real break away can be fun but truthfully I love relaxing and having time to reflect, so what about a new angle on a Honeymoon something like a Spa in Lake Garda, the Lefay Spa that rejuvenates the mind, body and soul, now thats something thats almost priceless! What is wonderful about the Spa is that at the end of the programme each guest receives a final check up report to help you along your way. I was given certain herbs to help heal me and even some classical music! 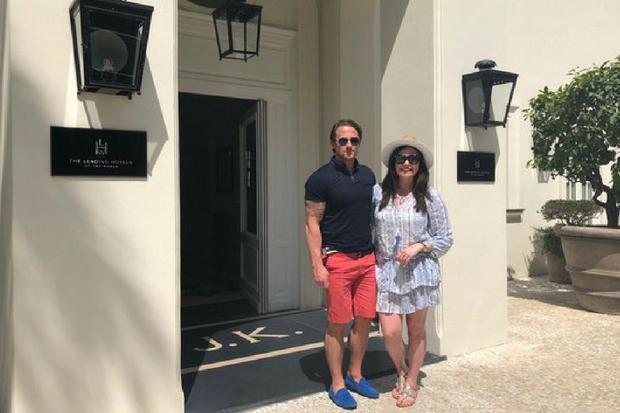 For me the importance of specific diet and personalised phototherapy treatment allowing you to enjoy all the benefits of the experience when you get home.